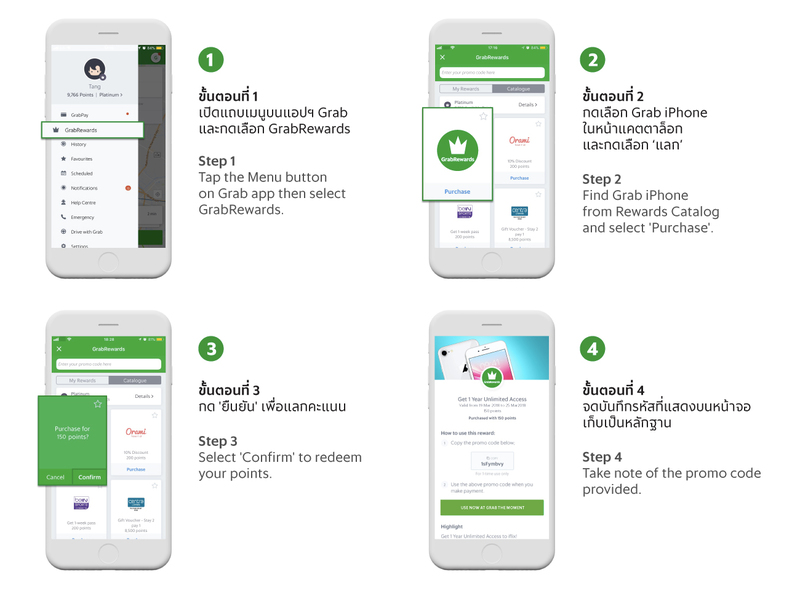 Get free iPhone with GrabRewards! Redeem more and get more chance to receive a brand new iPhone from GrabRewards! For 3 weeks, GrabRewards will be giving away 3 iPhones (1 per week.) Take your chance now by redeeming only 150 points for 1 entry. The more you redeem, the higher chance you’re likely to receive the prize. Member with the most redemption in each week will win an iPhone. Model, colour and capacity of the prizes will be different for each week. You can participate this campaign from 19 March – 8 April 2018 Here’s a prize line-up!